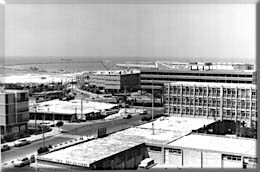 Presently a modern industrial city and important seaport, Ashdod is also significant because of its rich past history. In fact, archaeological excavations have revealed 22 strata which testify to continuous settlement of Ashdod dating back to the 17th century b.c.e. Among these finds are Canaanite and Israelite fortifications, a musicians’ stand and a Hellenistic plant for extracting purple dye from murex, a purple shell. In the late Canaanite period, Ashdod served as an important harbor city as is shown by archaeological finds and references to its maritime trade in the archives of Ugarit. According to biblical tradition, it was a town of the ancient Anakim (“giants”). After its conquest by the Philistines, it became one of their five chief cities and they erected there a temple dedicated to the god Dagon. Uzziah, king of Judah, breached the fortifications of the town and built in the area. In 734 b.c.e. the city surrendered to Assyria and in 712 b.c.e. Ashdod became the capital of an Assyrian province. 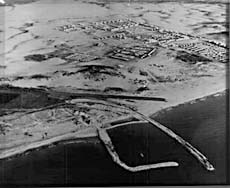 Although the city was situated on the via maris, the trade route near the sea, it was not directly on the coast but possessed an ancient port which was called Ashdod Yam (“Ashdod-on-the-Sea”). With the decline of Assyrian power, Egypt conquered the city after a siege of 29 years. In the sixth and fifth centuries b.c.e., Ashdod was the Philistine capital, so that in the days of Nehemiah, an “Ashdodite” was synonymous with a “Philistine.” Nehemiah fought against Ashdod’s influence which extended as far as Jerusalem. The town continued to be a district capital in the Hellenistic period when it was known as Azotus and it served as a Greek stronghold down to the days of the Hasmoneans. Its suburbs were burnt by Jonathan and the city was captured by John Hyrcanus. Ashdod then remained in Hasmonean hands until its conquest by Rome, and later changed hands numerous times, eventually becoming the property of Herod I, who gave it to his sister Salome; she bequeathed it to Livia, the wife of Augustus Caesar, from whom it was inherited by the emperor Tiberius. From the time of the Hasmoneans until the second century c.e. Ashdod appears to have been a Jewish town. Moreover, the discovery of a synagogue at Ashdod-on-the-Sea with a Greco-Jewish inscription gives further evidence of a Jewish community there in the sixth century c.e. © C.D.I. Systems 1992 (LTD) and Keter.